I recently took my daughter to Studio Alice at Harbor Land Kobe to have professional photographs taken for her 3rd birthday. I chose the birthday theme, where she was given a pretty pink dress to wear and a fake birthday cake to take photos with. The other popular themes to choose from are kimono and Disney themes. Having her photo taken at Studio Alice is a great lasting memory for my family. I think it was really good value for money as the staff spent up to an hour with us choosing costumes, dressing my child, and doing her hair and make up before the photo shoot. 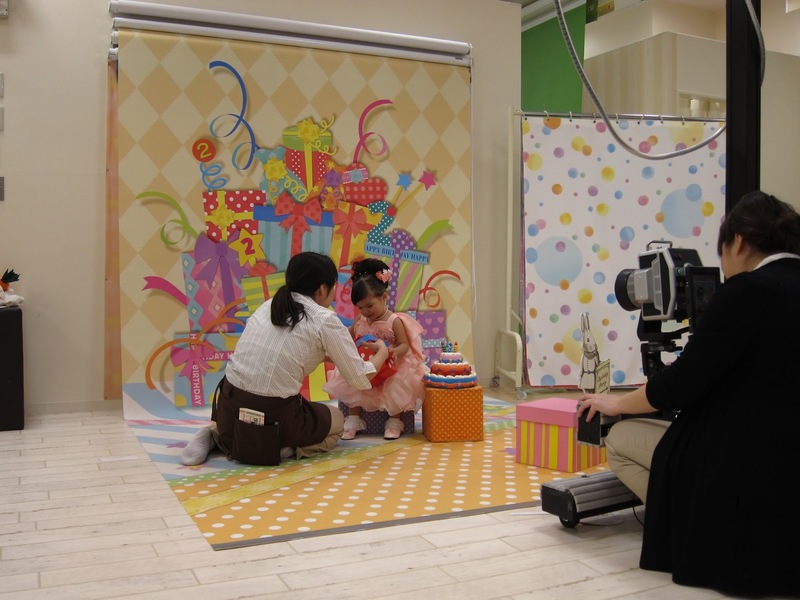 During the photo shoot my daughter wouldn't sit still and it was very difficult for the staff to get a great photo. However they didn't give up. They spent about an hour getting the right shots. After the photo shoot we were shown all the photos on a computer screen. Again the staff spent an hour helping us choose the best photos and suggesting print sizes. All up they spent about 3 hours with us and I only spent 20,000 yen. 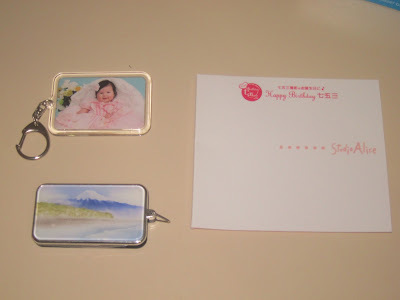 For my 20,000 yen I got a photo CD with all the images on it, 6 photographs in a printed photo album, two large size photos in a double picture frame, and two key chain fobs with my daughter's photo printed on to one side. Quite good value for money compared to how much all this would cost in a western country. 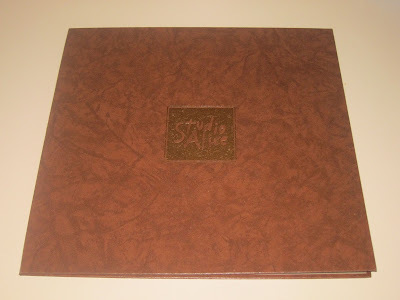 The service of the staff was also extremely professional and patient. If you're planning to go here keep in mind very little or no English will be spoken in the store. 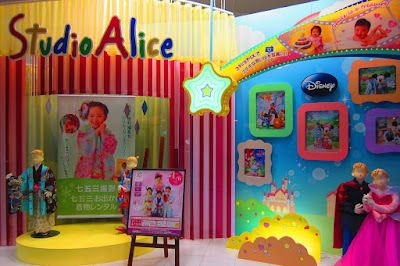 For more details on Studio Alice locations, and how to go about booking a photo session if you can't speak Japanese, please see my Studio Alice Article On Hub Pages.